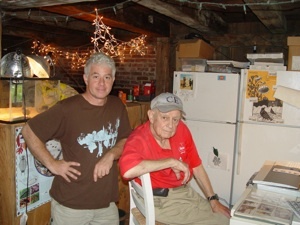 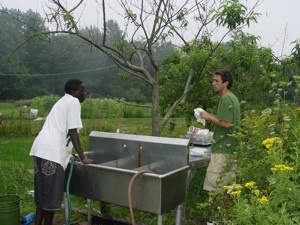 Craig Lapine, Executive Director of Cultivating Communities, (on left) and Peter Eastman. 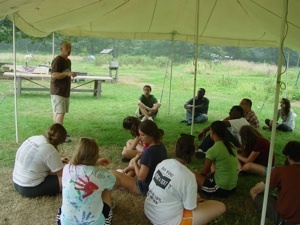 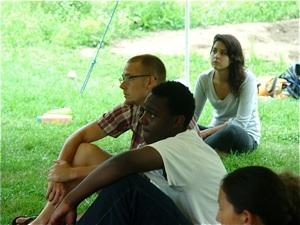 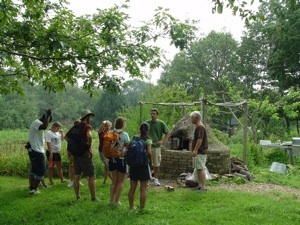 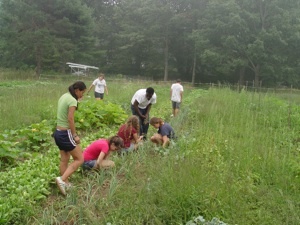 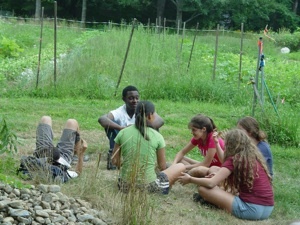 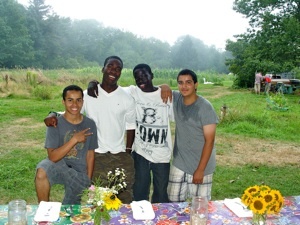 Matt and Craig from Cultivating Community welcomed volunteers from Merrowvista Summer Camp in Tuftonboro, New Hampshire. 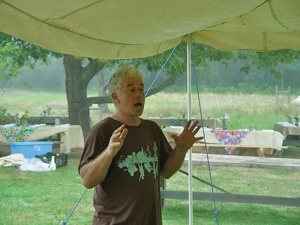 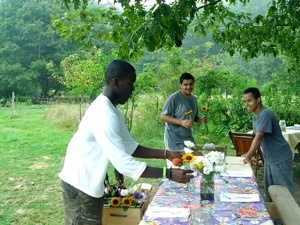 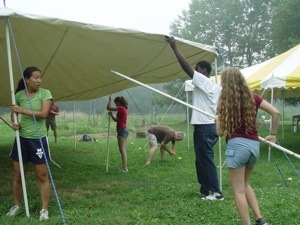 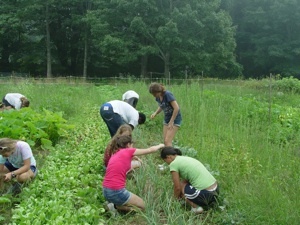 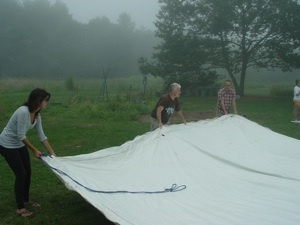 They helped prepare for the Twilight Dinner, erect two tents, and weed the gardens. 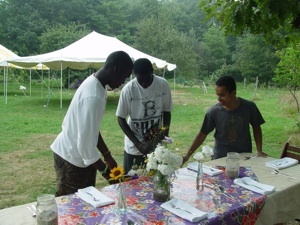 Community helped with the preparations for the Twilight Dinner.